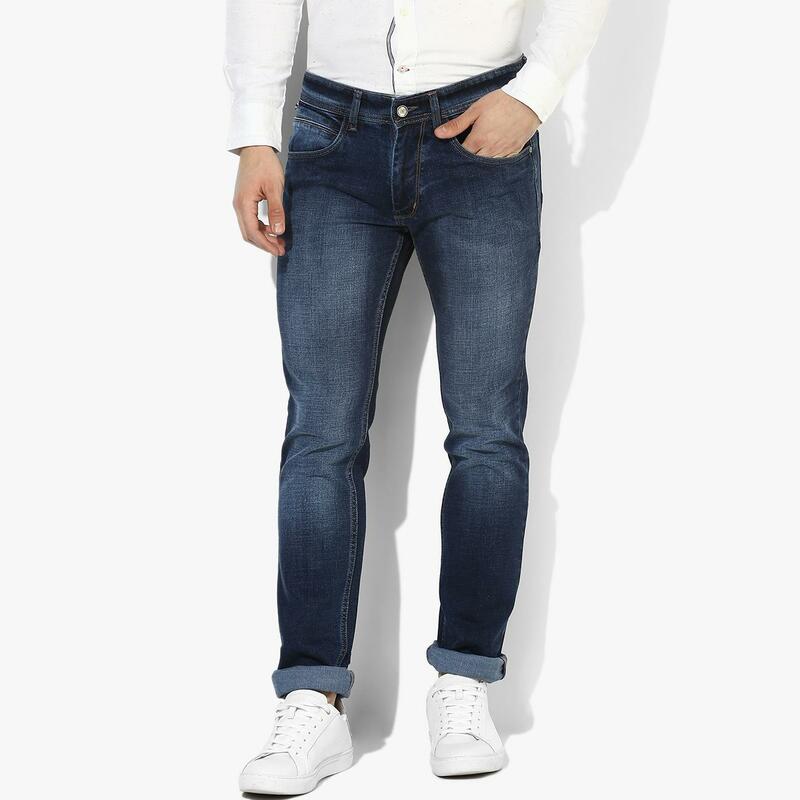 Flaunting a cool and rugged appeal with the washed effect is this pair of blue denims from Red Chief. 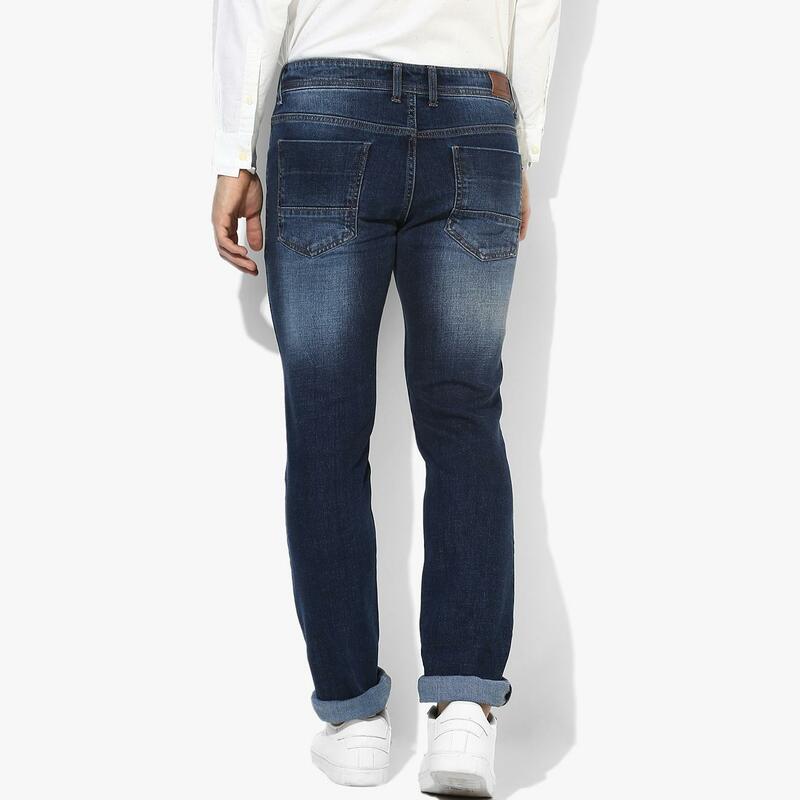 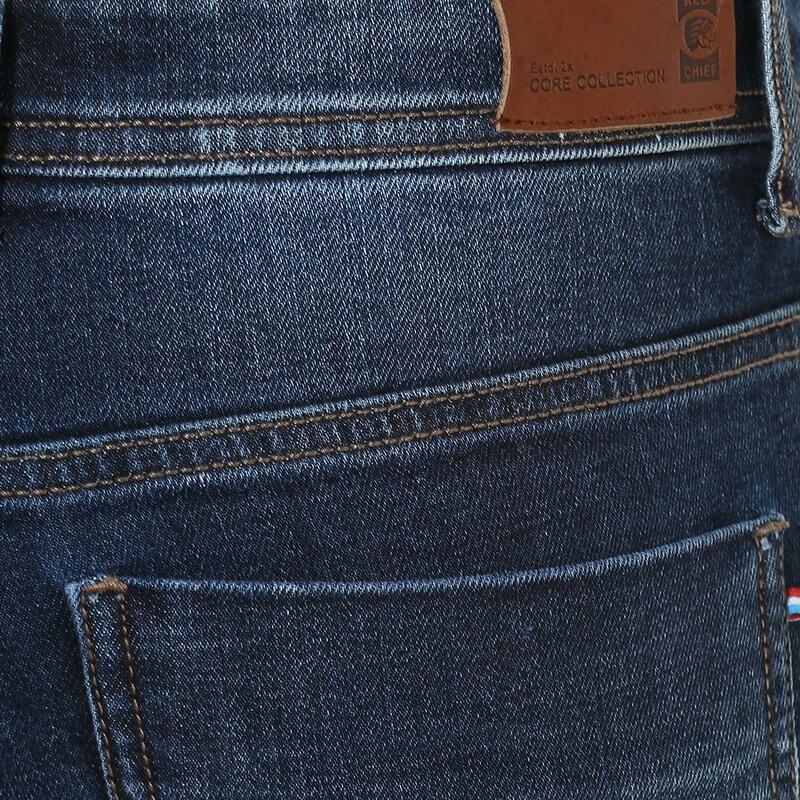 These straight-fit denims feature button closure for snug fit and multiple pockets for added functionality. 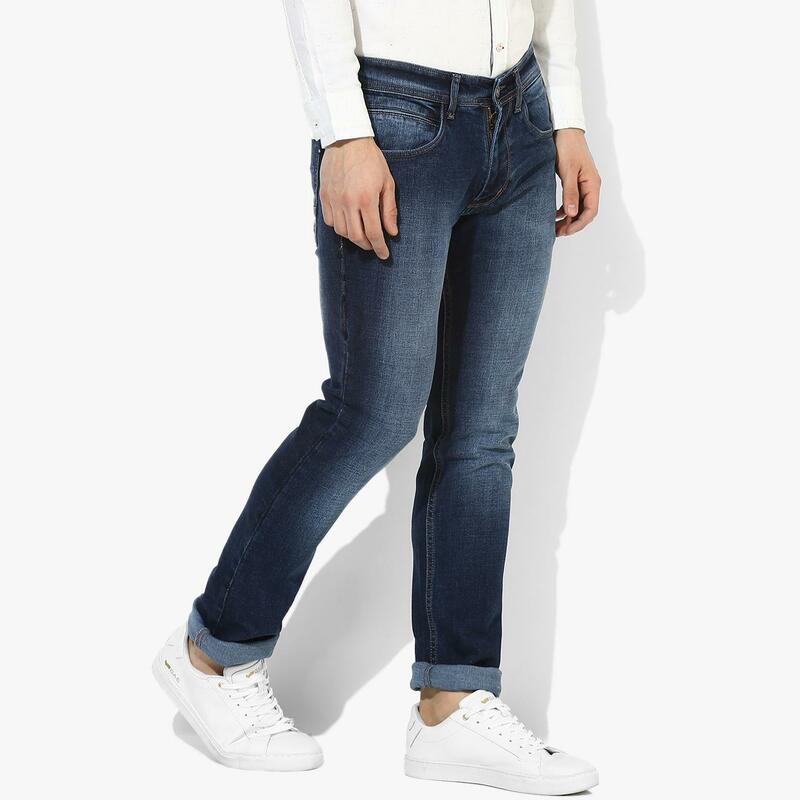 Soft against the skin and comfortable to wear all day long, this pair will go well with a white shirt and sneakers.